With a long history, Chinese culinary arts are famous all over the world. Chinese dishes appeal to the senses through color, shape, aroma and taste. According to different regional styles Chinese cuisine can be mainly divided into four kinds such as Sichuan, Cantonese, Shandong and Huaiyang, each distinctly different. 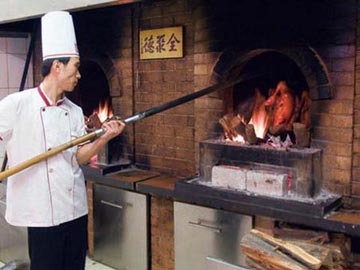 Guangdong cooking makes use of many ingredients. They look for fresh, tender, crisp textures. Ingredients in Cantonese food range from fish, shrimp and poultry to snake, wildcat and giant salamander. Shangdong cuisine leads the Northern dishes. Shangdong cooks are good at cooking seafood such as sea cucumber, "squirrel fish", jumbo prawns, crab and eel. Huaiyang cuisine stresses the natural flavors. Dishes are strong but not greasy, and light but delicate. Simmering, boiling or baking in earthenware pots over a low fire are a feature of this cuisine. Jiangsu specialties are "West Lake Fish" and "Beggar's Chicken", baked in lotus leaves in a clay pot. Peking Roast Duck is the most famous dish in Beijing. The crispy skin is the most delicious part of the duck. To achieve the right crispy texture, the duck is dried, and then coated with a syrup and soy sauce before it is roasted. The skin is skillfully carved. These pieces are wrapped in thin pancakes with onions or leeks, cucumber, turnip and plum sauce. Some restaurants also serve up just about every part of the duck, from the webbed feet to the beak and liver. Chinese Dumpling, also called Jiaozi, filled with meat and vegetable, very popular during the New Year and other festival. Eating jiaozi symbolize good luck and prosperity in the next year. There is no standard filling for jiaozi. The filling can range from vegetables, meat to seafood. Jiaozi are usually boiled in water and served with vinegar, soy sauce, and garlic or pepper oil. Peking Duck, which is also known as Peking Roast Duck, is a famous dish in Chinese cuisine. Peking Duck has been prepared in imperial kitchen since the Ming dynasty. Later the recipe spread among the populace. Although it originated in the city of Beijing, the dish is now served throughout the country and is regarded as one of China’s signature foods. In fact, ducks are bred specifically for this dish. This kind of duck is called force-fed duck. They are typically slaughtered after being raised for 2 months. One of the most important aspects of Peking Duck is the skin. It is important for the skin to be thin, crispy, and deep brown. In order to keep the skin thin, it must be separated from the fat on the bird. The skin and the fat are separated in the kitchen, prior to cooking, by pumping air between these two layers. This is normally done through the bird’s neck cavity. Another reason that the skin of Peking Duck is so crispy is that the bird is coated with sugar syrup before being roasted. The meat is tender because when roasting the duck’s cavity is filled with water. Once the duck has been thoroughly roasted in the oven for 45 minutes, it is brought from the kitchen and presented to the diners. Then, guests are invited to look on as the chef carves the duck right there in the dining room. In addition to watching a chef expertly carve beautiful portions of meat from the bird, diners also get to enjoy the lovely aromatic quality of the meat during this process. Dinners can directly enjoy the crispy skin with sugar and they can also put the meat on the thin pancake and add scallion, cucumber slices, radish slices, mashed garlic, mashed leek flowers, and the sweet sauce, then roll the pancake to eat. The duck skeleton with the meat on the bone can be fried or make the duck soup. 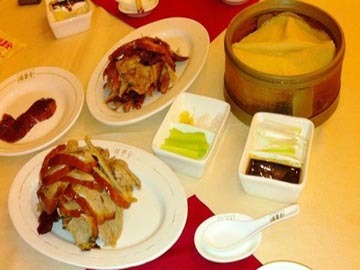 The Three famous roast duck restaurants in Beijing are Qunjude Roast Duck Restaurant, Bianyifang Roast Duck Restaurant, and Dadong Roast Duck Restaurant. The Chinese hot pot has a history of more than 1,000 years. 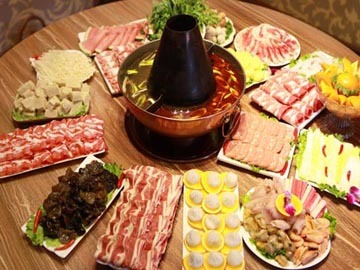 Hot pot seems to have originated in Mongolia where the main ingredient was meat, usually beef, mutton or horse. 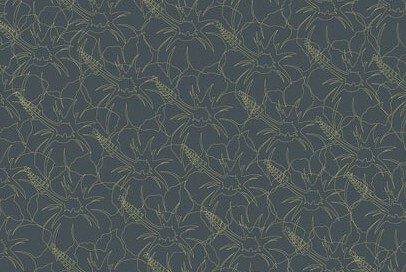 It then spread to southern China during the Tang Dynasty and was further established during the Mongolian Yuan Dynasty. In time, regional variations developed with different ingredients such as seafood. By the Qing Dynasty (AD 1644 to 1912), the hot pot became popular throughout most of China. Today in some restaurants the traditional coal-heated hot pot has been replaced by gas cooker or induction cooker. Because hot pot styles change so much from region to region, many different ingredients are used. Frozen meat is sliced thinly to prepare it for hot pot cooking. Slicing frozen meat this way causes it to roll up during cooking, and it is often presented as such. The common meats used include lamb, beef, chicken, duck, mutton, and others. The cooking pot is often sunk into the table and fueled by propane. Or alternatively above the table and fueled by a portable butane gas stove or hot coals. Meat or vegetables are loaded individually into the hot cooking broth by chopsticks, and cooking time can take from 1 to 15 minutes, depending on the type of food. Meat should be cooked at the very least 20 seconds depending on the thickness of meat. 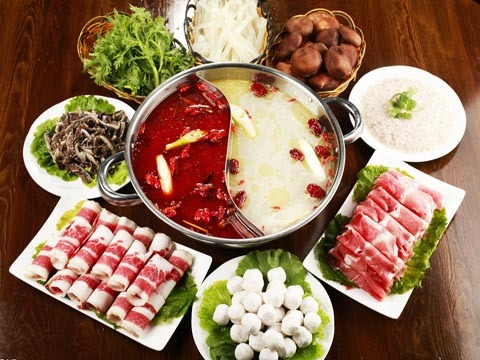 Other hot pot dishes include leafy vegetables, mushrooms, seafood, and noodles. It can be eaten bland to very spicy, depending on how much spice has been put in the stew. I am the owner of this web site. I am the professional tour guide in Beijing. If you or your friends need private tour guide service when visit Beijing please contact me. With me you will have an interesting cultural tour and different experience in Beijing. Appreciate you can forward my contact to your friends.